Welcome Mates! Ready for an Epic Ride? 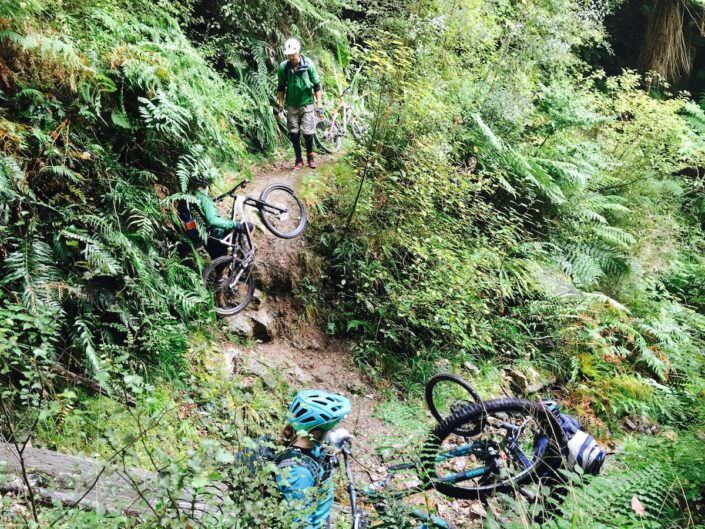 MTB Tours NZ with New Zealand Single Track Adventures — by far the best bike tours in New Zealand. 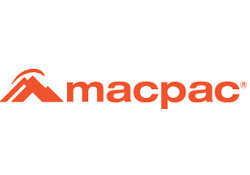 Tucked away at the bottom of the world in an awe-inspiring country you will find a driven group of adventure guides that follow the sun from one end of the planet to the other year round. 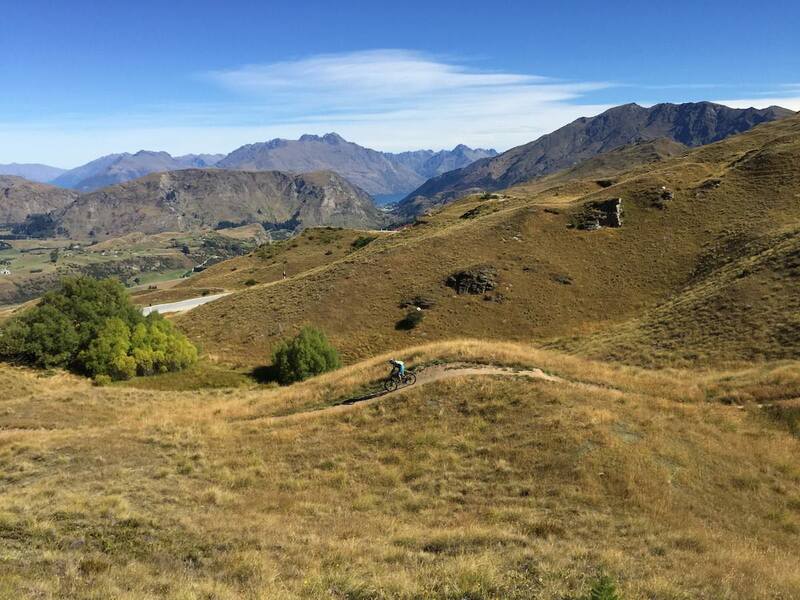 And when the season kicks into gear for mountain bikes, the team at New Zealand Single Track Adventures is already hitting the world’s best single track, checking out some of the stunning landscape, and experiencing the spirit of adventure that drove pioneers to settle New Zealand. 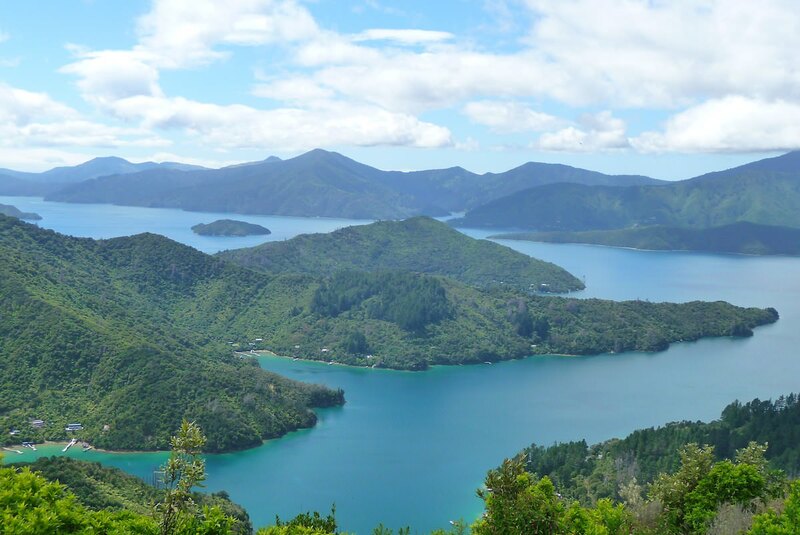 New Zealand’s landscape elements range from dazzling snow-capped peaks to endless ridge lines, temperate rain forests to fjords. Plus, the country is surrounded by the ninth longest coastline on earth. From the lush tropical north to the rugged fjords of the South, New Zealand’s Southern Alps form the spine of South Island and provide a backdrop of dramatic landscapes and incredible single track. 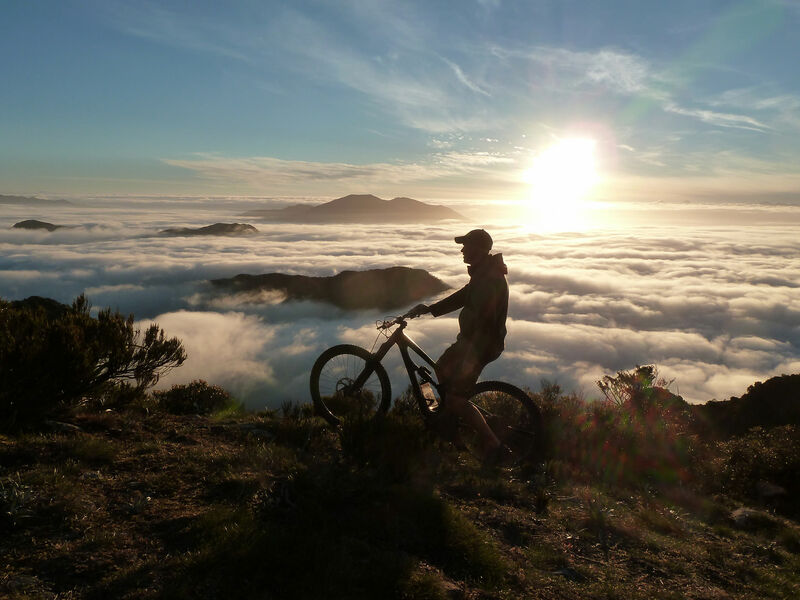 No wonder this special place is the staging ground for a diverse range of epic mountain bike experiences. 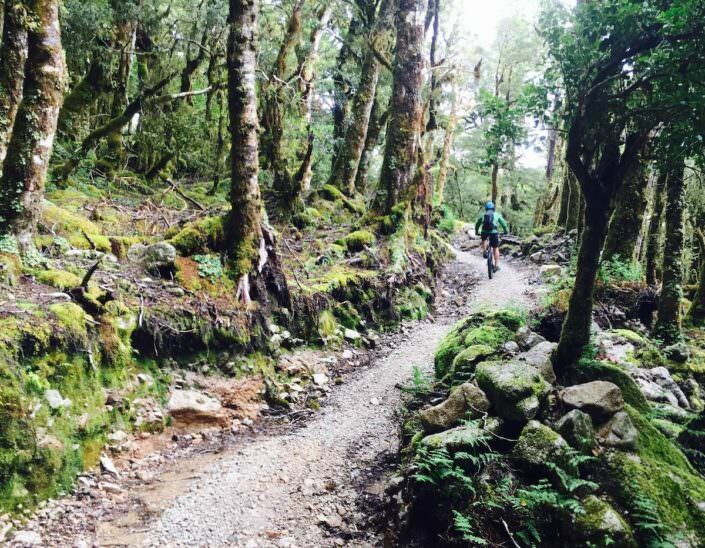 It’s single track heaven, and continues to grow and create world-class rides. 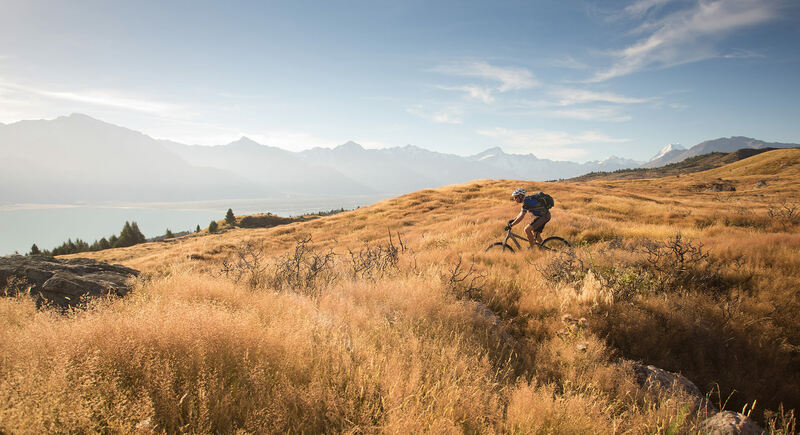 When you think of your best mountain biking experiences and your favorite landscapes that you’ve ever ridden through, you can find it all in one place on New Zealand’s South Island. New Zealand Single Track Adventures has MTB Tours NZ. 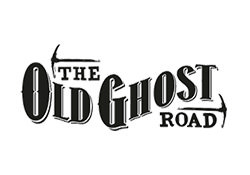 Join us where you’ll always feel welcome mates! 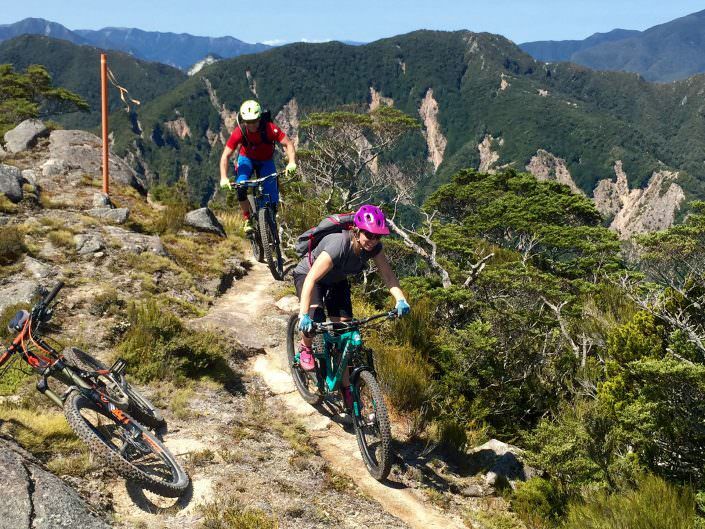 New Zealand Single Track Adventures specializing in MTB Tours NZ with the best multi-day New Zealand mountain bike adventures, based in the heart of the Southern Alps of New Zealand. 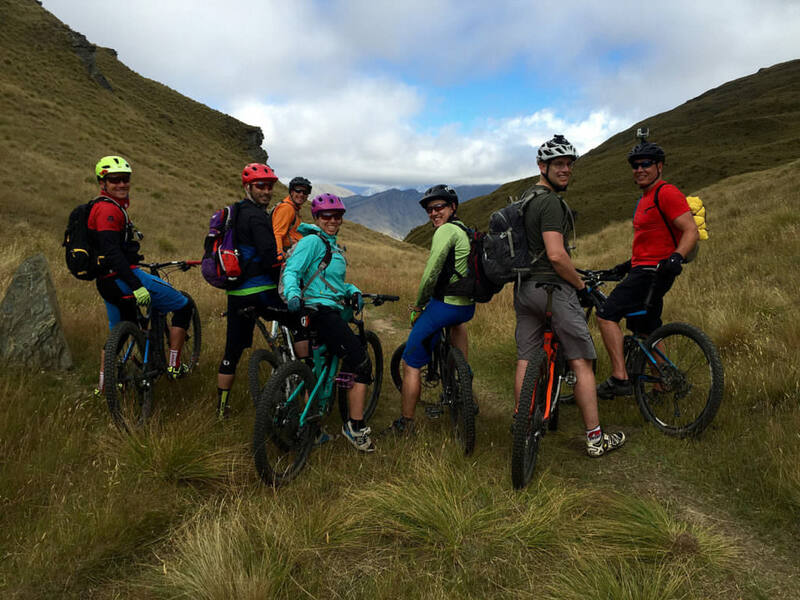 We’re a team of passionate riders, who live and breathe for mountain bike adventures and awesome experiences, which is perfect since we’re central to some of world’s best single track. 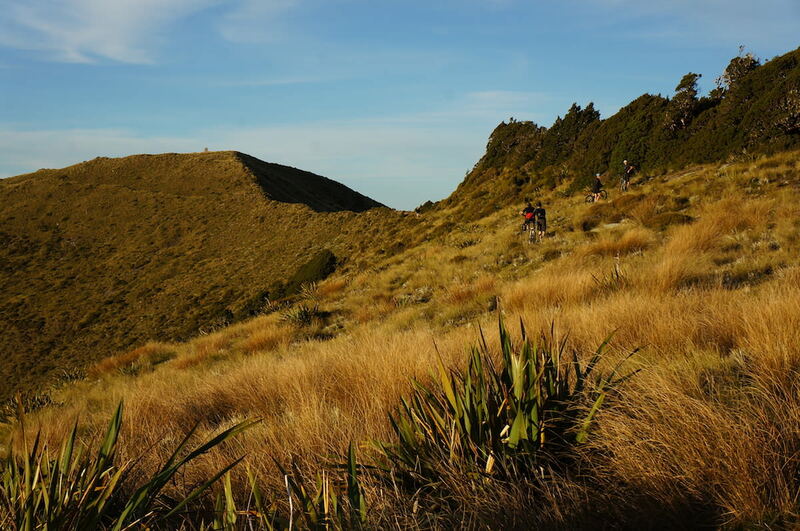 Combined with extensive local knowledge of terrain, weather, flora and fauna, and of course Kiwi culture, it’s no wonder our NZ mountain bike trips are ranked as some of the best. 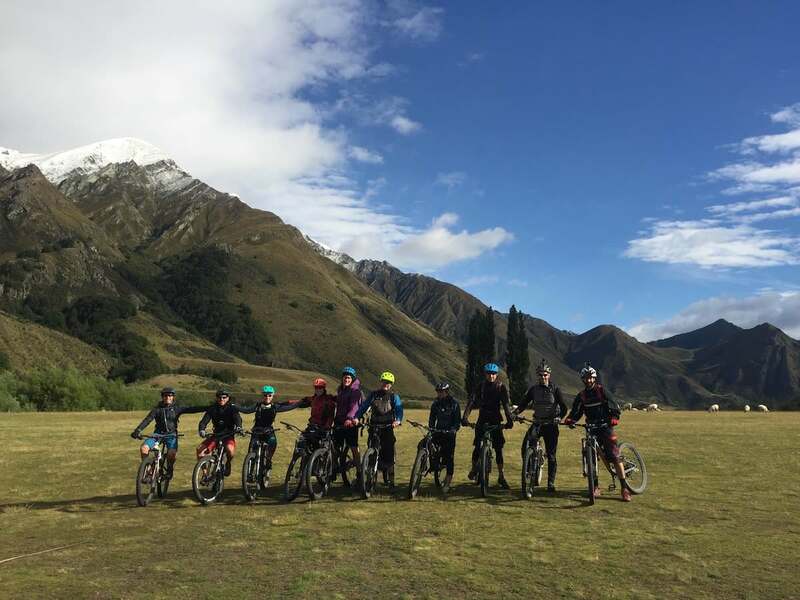 Our years of experience guiding and operating multi-day mountain bike trips have led us to be leaders in New Zealand mountain bike adventures. 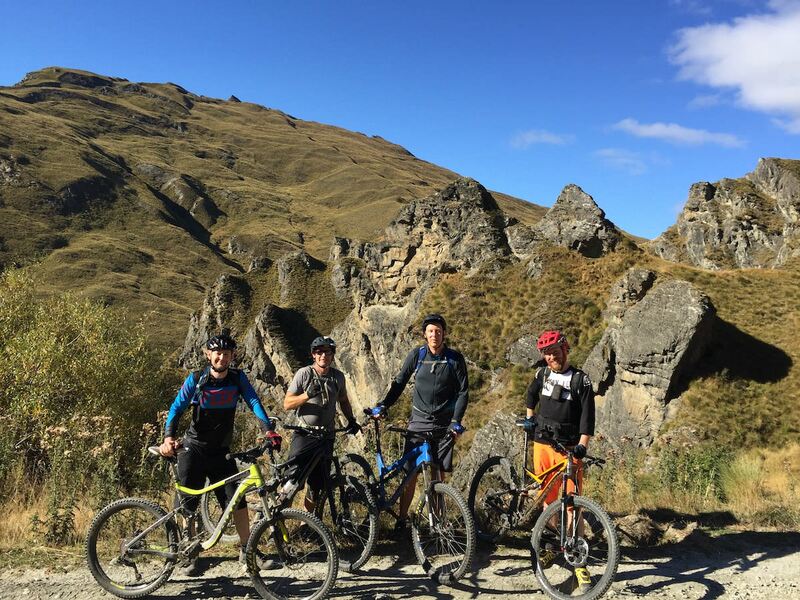 We are South Island experts in the best trails for every kind of rider. Driven with a passion, the team at New Zealand Single Track Adventures are specialists in executing the very best of NZ mountain bike trips on two fat tires, add in our impeccable attention to details from fresh cold beverages at the end of each epic ride to the best flat white coffee pre-ride. 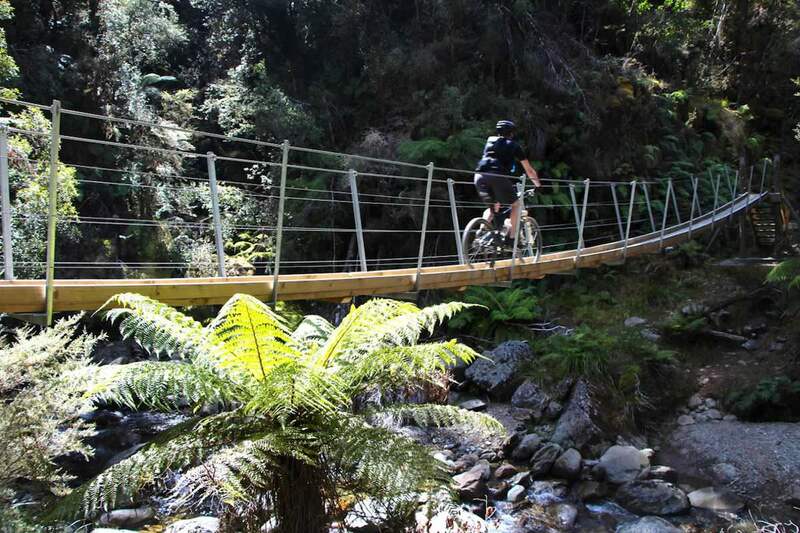 We haven’t just researched the best mountain bike trails , at New Zealand Single Track Adventures we’ve ridden them in every condition along with every kind of rider you can think of. Which makes us very experienced in tailoring your New Zealand mountain bike adventures to suit your wildest dreams. We design and deliver world class mountain bike holidays for our international and local partners. 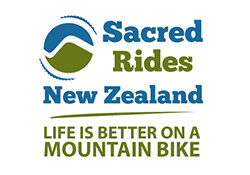 One of our goals is to build long lasting partnerships with agents and companies for New Zealand Single Track Adventures, to develop unique MTB Tours NZ guided group mountain bike adventure experiences that are tailor made to their brand and customers’ expectations. 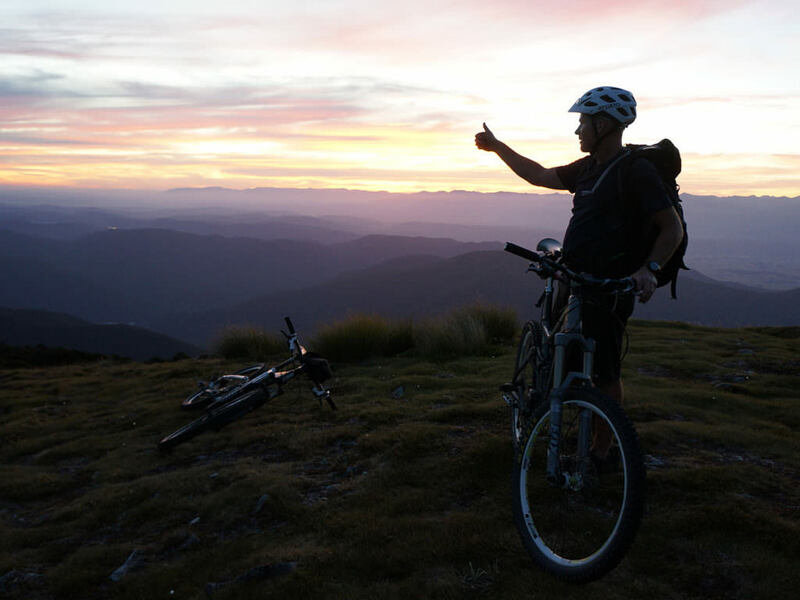 We create tailor-made MTB Tours NZ itineraries for a variety of mountain bikers wanting to experience New Zealand’s very best trails, crafted with expertise and passion. 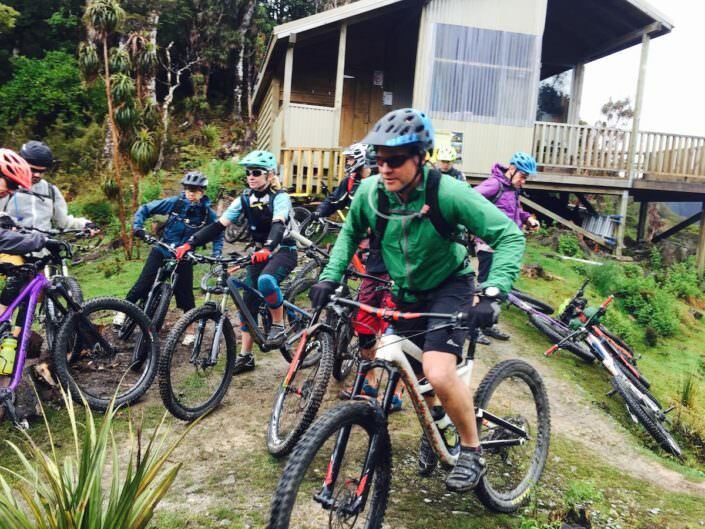 We work with single riders or groups to make their dream holiday on two fat tires come true with New Zealand Single Track Adventures. 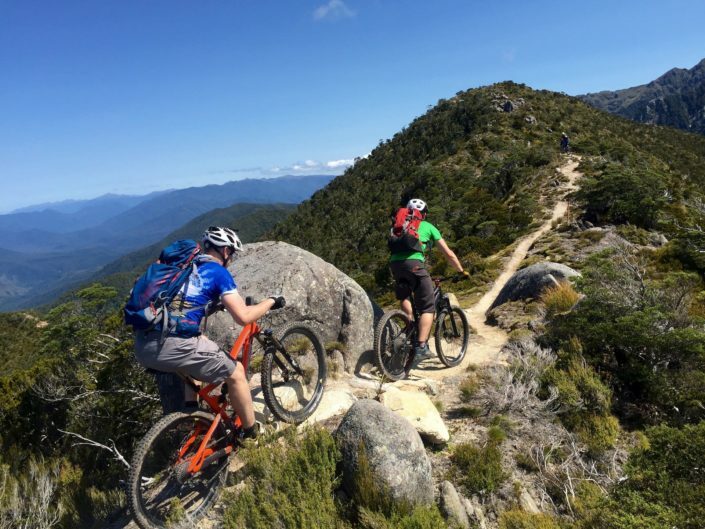 At New Zealand Single Track Adventures, we also develop and operate special club trips for bike shops and exclusive clubs who want to plan MTB Tours NZ on behalf of their customers and riders. New Zealand Single Track Adventures was one of the first in the industry to run specialized multi-day single track New Zealand mountain bike tours. If you are looking for an incredible NZ mountain bike trip that will take you to the very best and secret local trails, while sipping the finest of craft brews and resting well in the most scenic of places…join us as for MTB Tours NZ because that’s what we do. 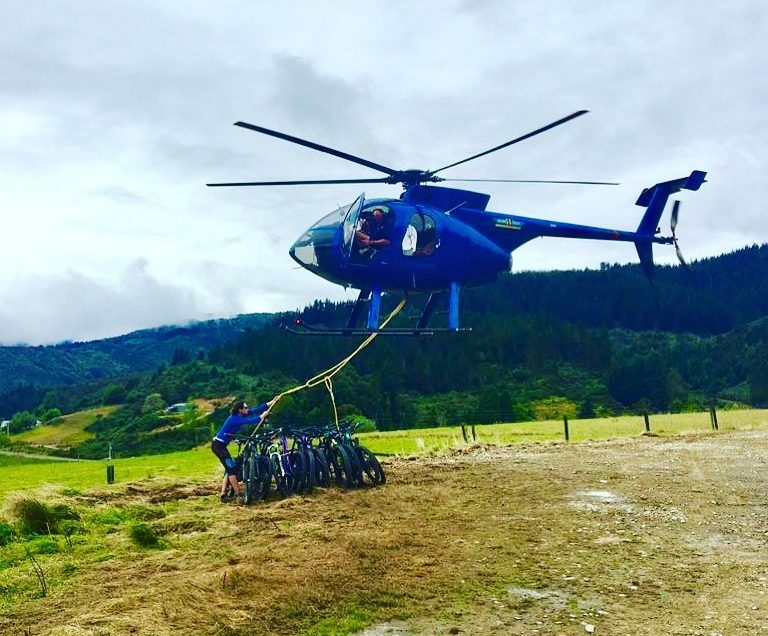 We carefully create and execute from start to finish the very best multi-day mountain bike adventure experience from start to finish. 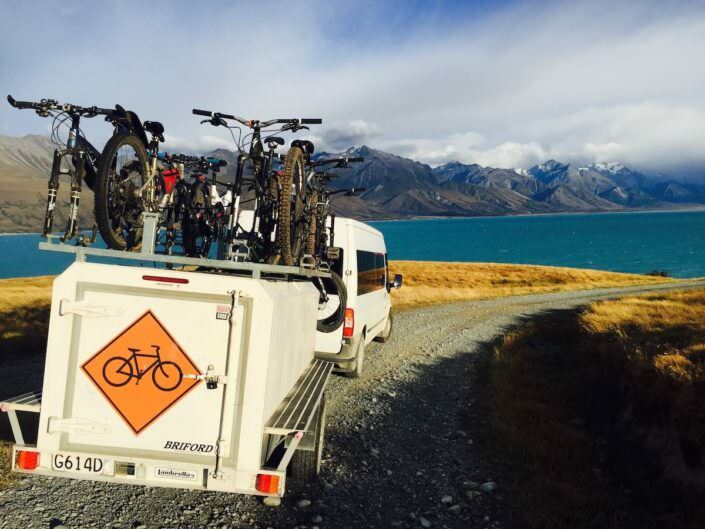 You and your mountain bike will travel in style and safety with our specifically designed bike trailers and vehicles. You will enjoy the latest and best trails on offer here, along with discovering some lesser known secret gems on the local side of things. You’ll savor delicious healthy meals made with love, while having enough time to indulge on your own. 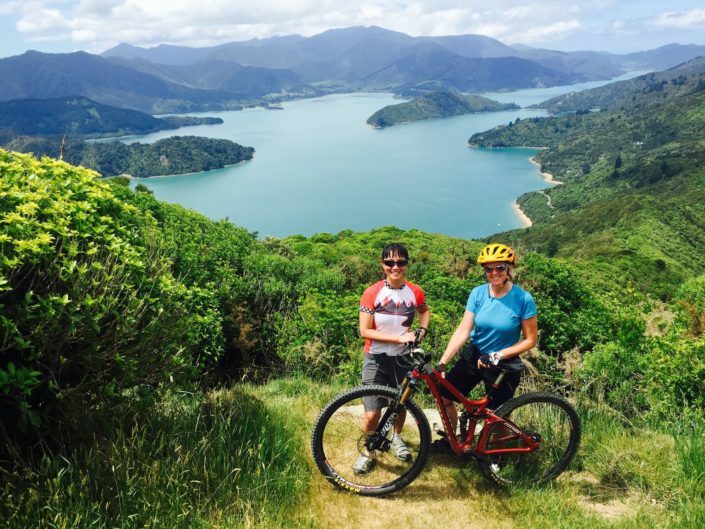 Our New Zealand mountain bike tours ensure full belly laughs, along with soul stirring rides to knock your heart and legs into genuine happiness. 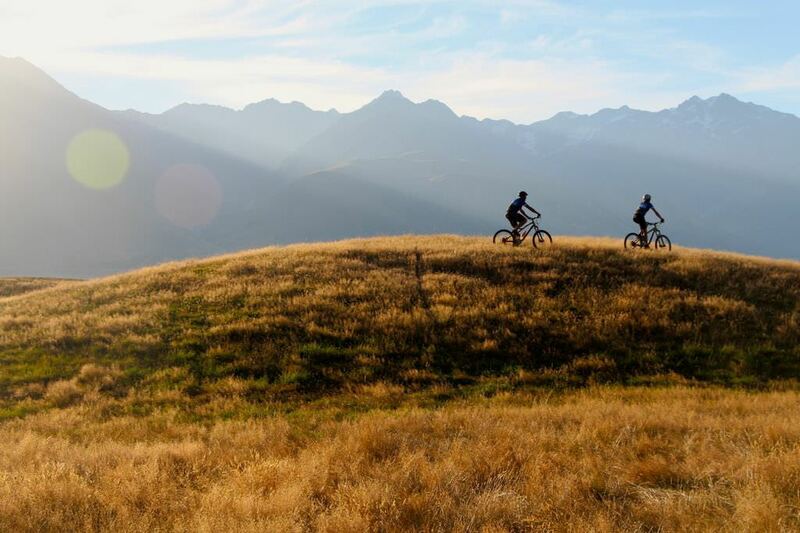 At the end of a great day mountain biking in South Island , you can be sure to rest well in one of our unique lodges or accommodations which are often set within the Southern Alps’ beautiful landscapes. 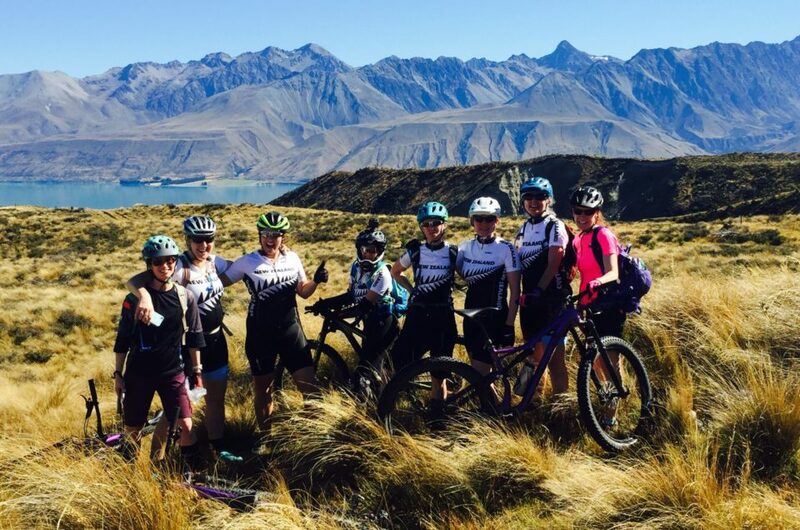 If you’re looking to travel with the best in the industry and experience the dream MTB Tours NZ then look no further than New Zealand Single Track Adventures. You won’t be disappointed. 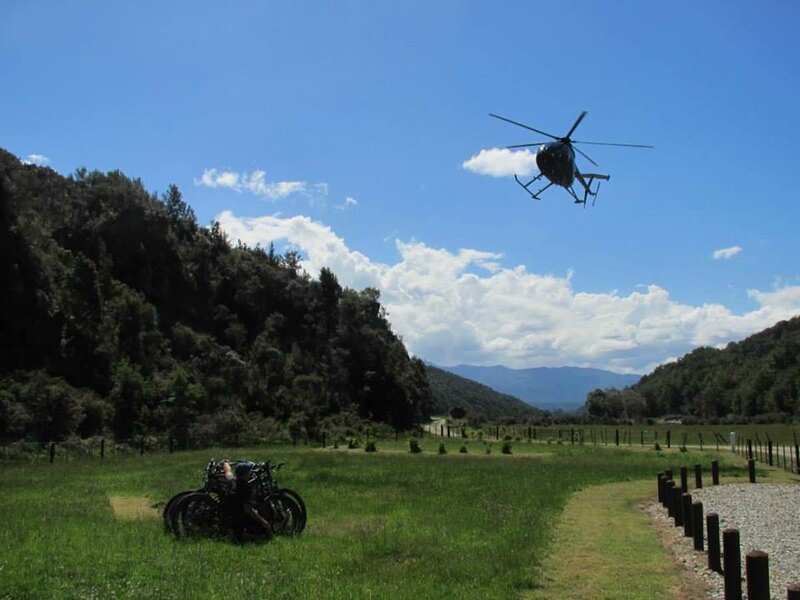 We believe a great MTB Tours NZ adventure must include all the key elements, such as where you stay at the end of an epic day mountain biking in the hills. 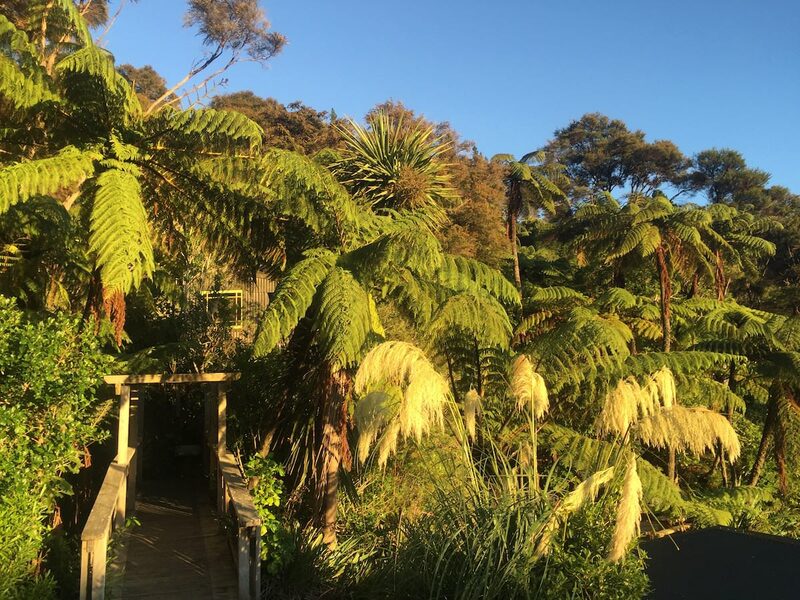 We choose accommodations that entail a true Kiwi flare, which often offers stunning views like this. 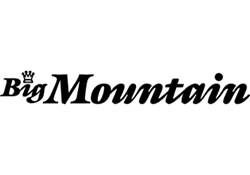 Sit back and enjoy a cold one while listening to your woolly mates as they make their way into the sunset draping across those mighty peaks just off your front porch. 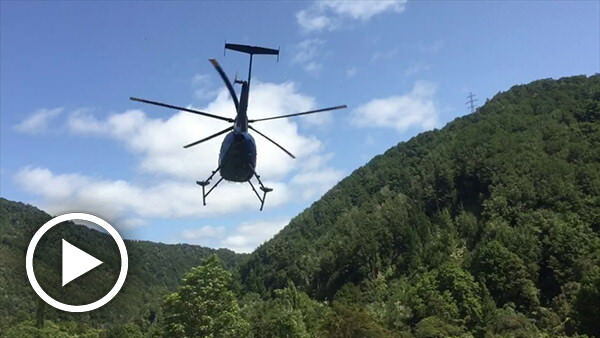 Our New Zealand Single Track Adventures lodgings range from unique private sheep stations, downtown hotels and motels to country style B&B’s, backcountry huts and remote lodges accessed only by boat, bike, kayak or helicopter. 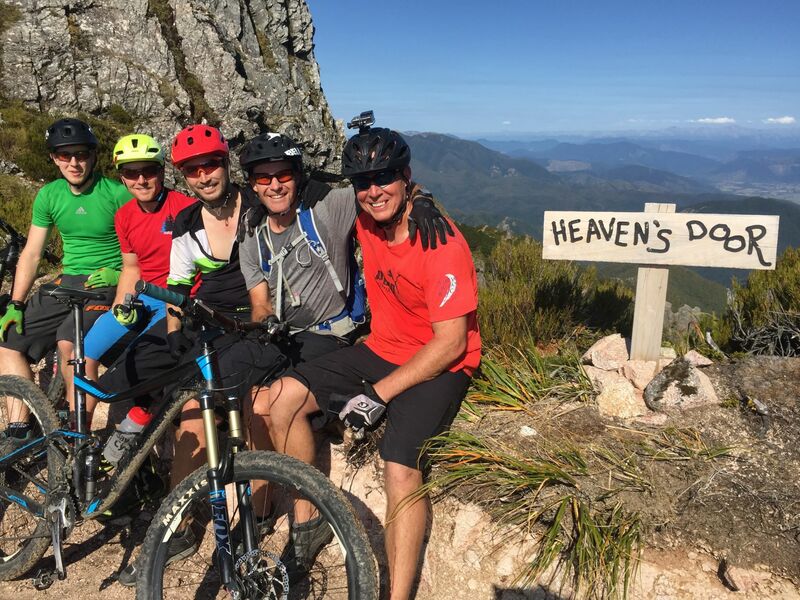 Whatever the NZ mountain bike trip you choose, you can rest assured that you will ride the best of trails and take in some great stays along the way. 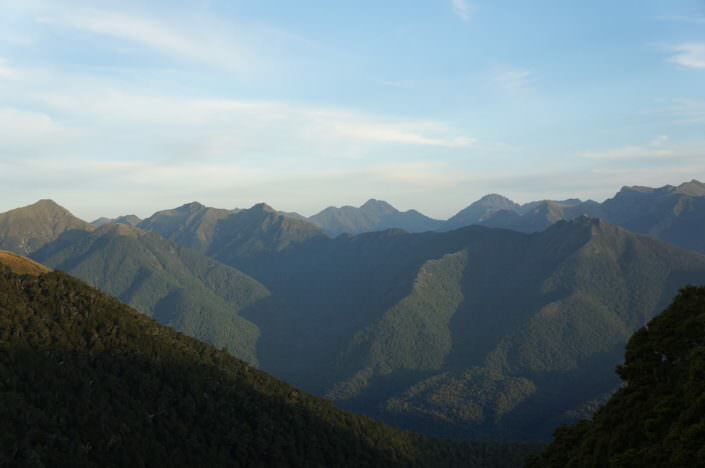 Shared twin rooms are for our single riders; private single rooms can be arranged upon request. 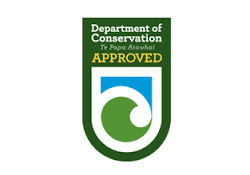 A major ingredient on our New Zealand Single Track Adventures mountain bike trips is eating well. 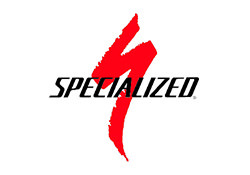 As riders ourselves, we know you need a lot of good calories to keep those legs and heart pumping at optimal level. 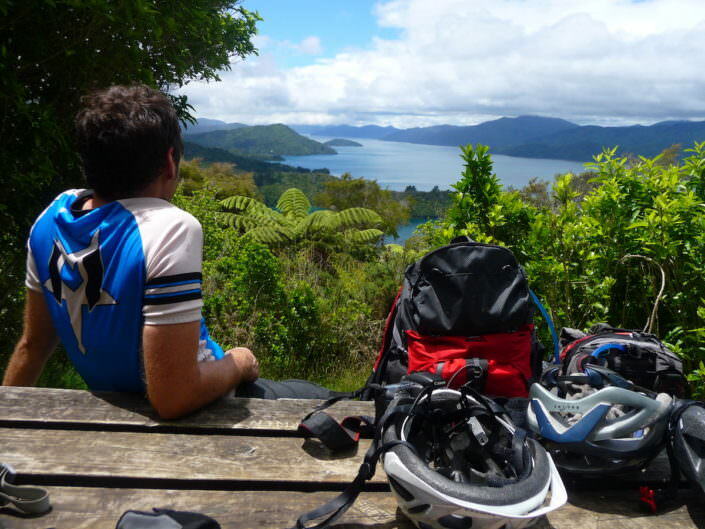 Fueling up for a good start on MTB Tours NZ. 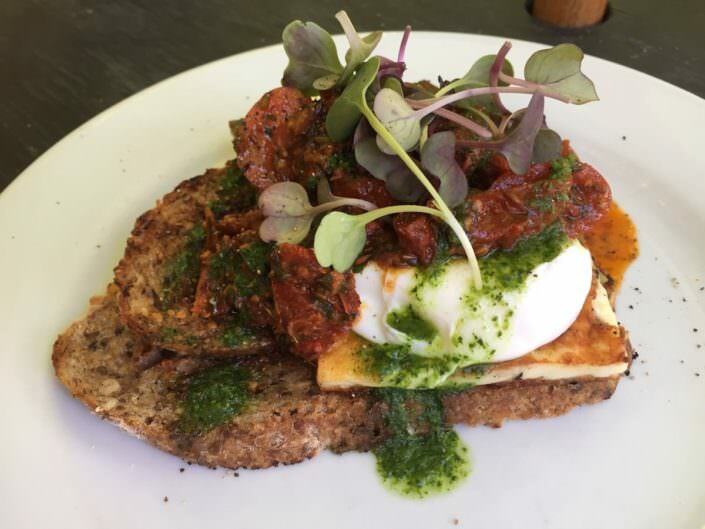 Breakfasts range from hearty poached eggs and free range bacon, to homemade muesli with heaps of berries, nuts, Keffir and all that good stuff you’ve heard about to keep that gut nice and healthy! 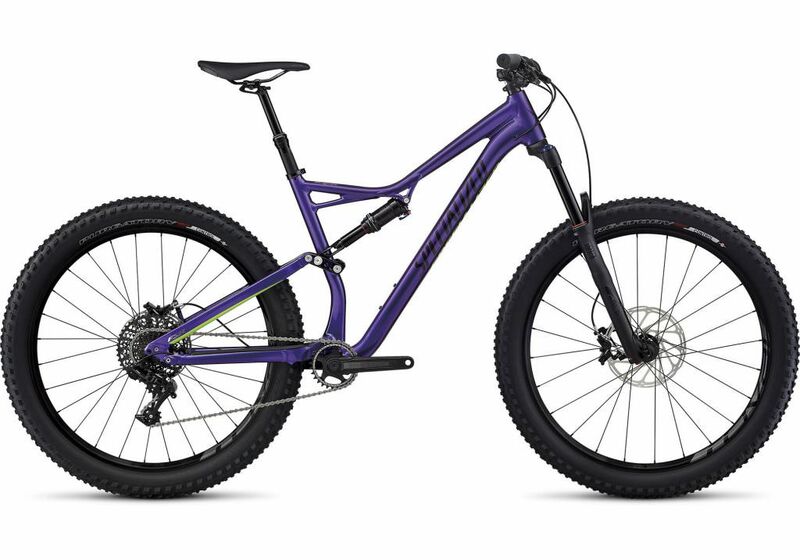 Deliciously fit to keep you on the trail. 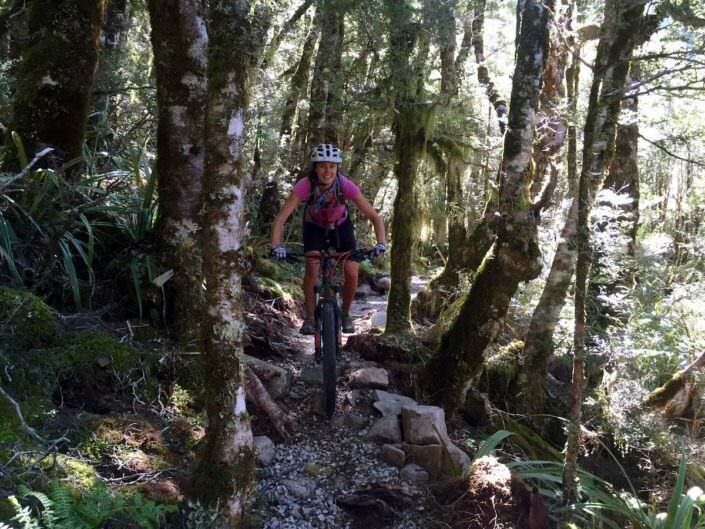 Lunches are often on the trail as we’re usually out taking in awesome single track. Wraps, meats, cheese, sprouts, hummus and all kinds of combos to ensure your ready to keep on riding but not too heavy. Comfort, recovery and a taste of kiwi cuisine. 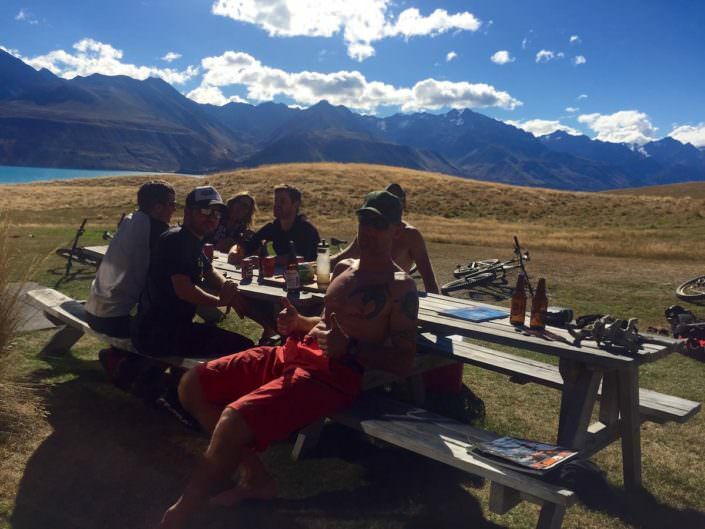 Dinners are often for riders to have some time out and take in the local kiwi cuisine if we’re staying close to a wee town. 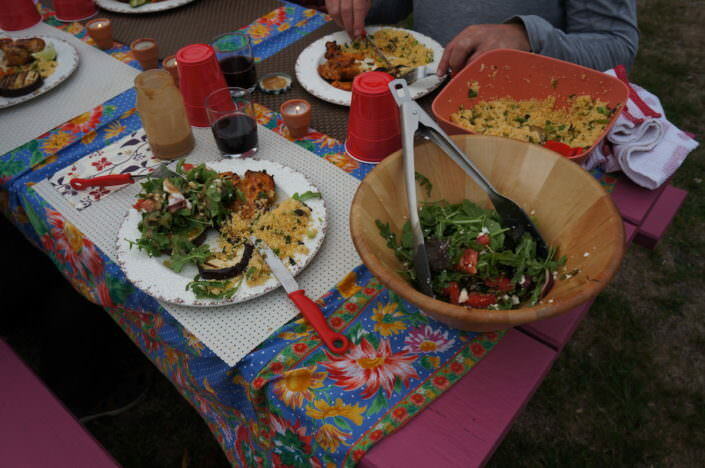 Your guides are also awesome cooks, and ensure a good ole lamb roast with roasted Kumara and kale salad or even fresh-caught seafood from the local harbor. 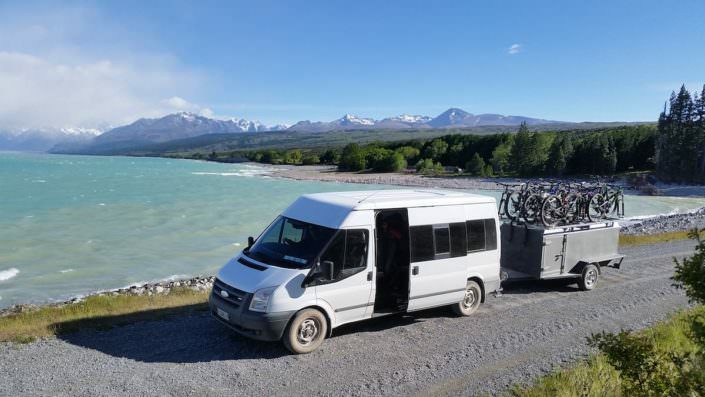 A lot of thought and logistics goes into our New Zealand Single Track Adventures meal plan, and fresh ingredients are carefully picked up along the route to ensure nothing but local free-range deliciousness. 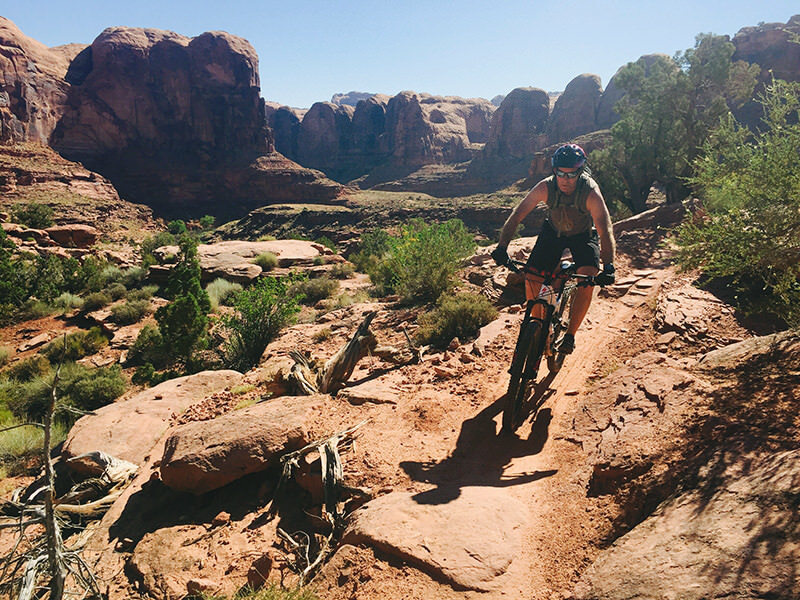 For many people who aren’t familiar with the term “single track” it means riding a slice of dirt that winds through terrain on a thin narrow pathway. Mountain biking can be often viewed as riding off road, as in four-wheel drive tracks, or off the pavement. 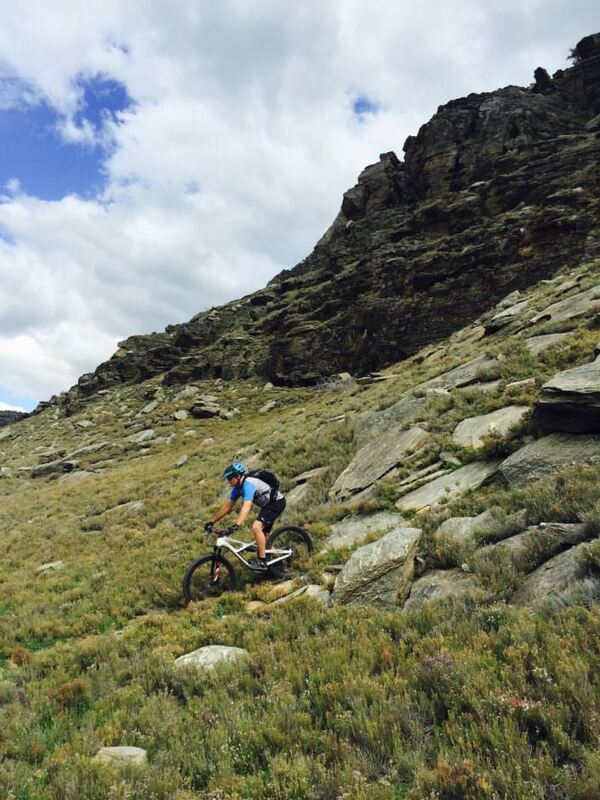 However, a true mountain bike experience should entail single track. 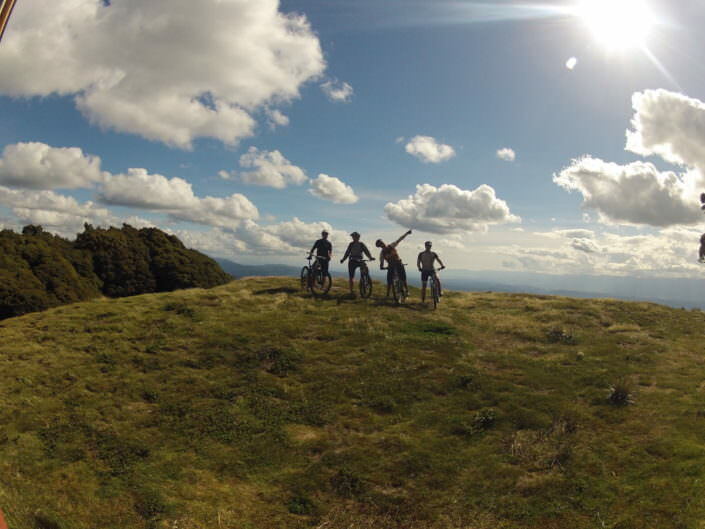 The main focus on our mountain bike adventures is to ride proper single track. 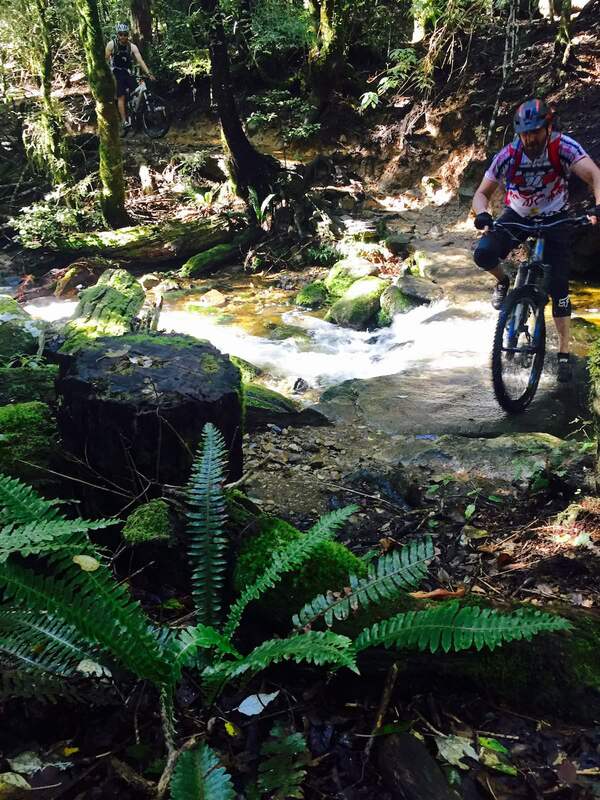 We at times will ride an access track in order to get to an incredible trail, but our adventure trips entail riding true single track. 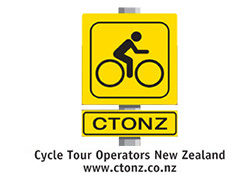 MTB Tours NZ — we deliver true single track mountain bike adventures. You can bring your own bike, or save the worries and rent one of ours at New Zealand Single Track Adventures. 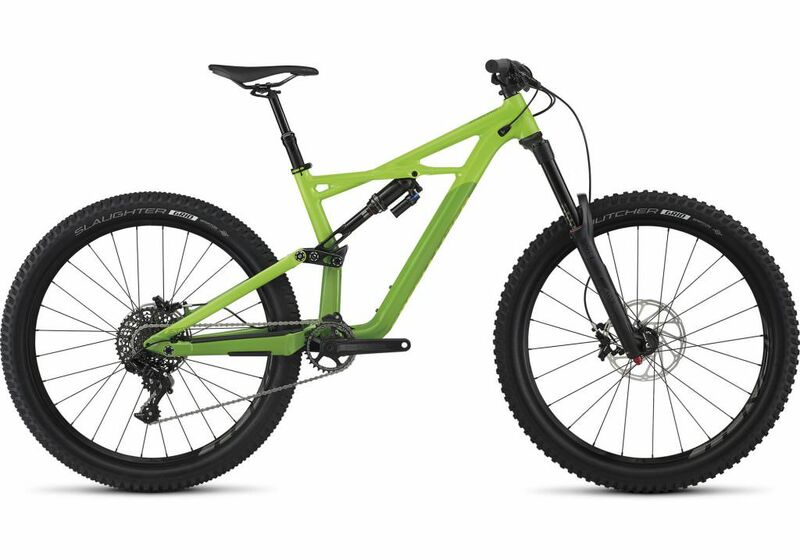 We own a fleet of the very latest specialized mountain bikes, with sram 1/11 gears and dropper seat post, and sram guide brakes, 3-inch tires. As Kiwi as it gets, Ben lives and breaths for New Zealand and its epicness. He’s been riding bikes since a young age, and even worked as a cycle courier in London. 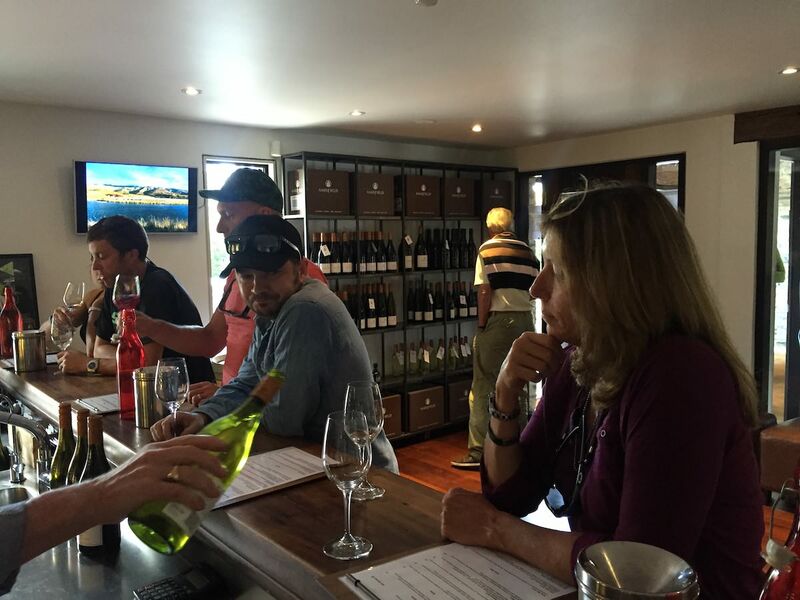 His in-depth knowledge of all things New Zealand is impeccable. 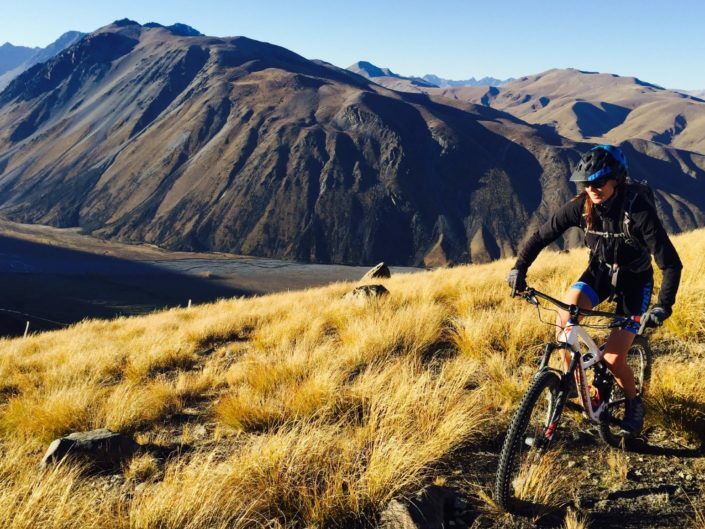 He believes in pushing people out of their zone and offering riders the chance to experience a true adventure kiwi style. 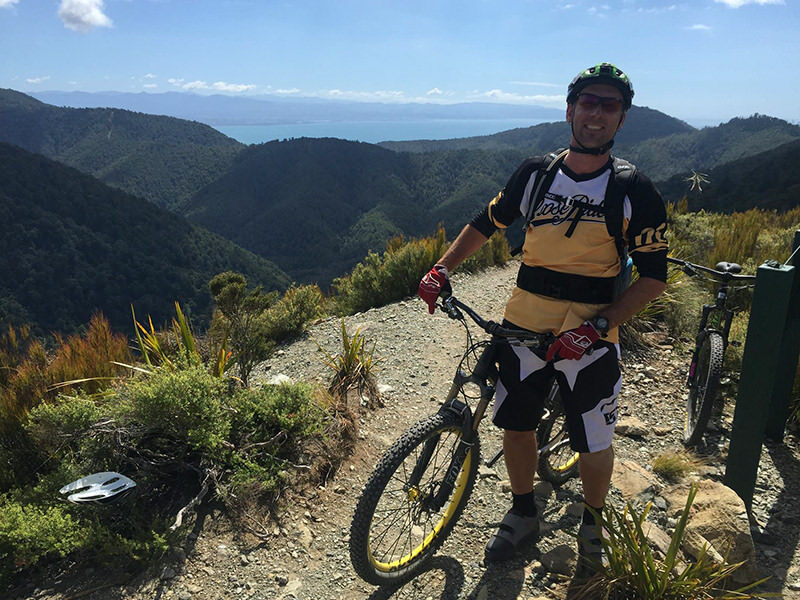 His love for mountain biking and guiding is infectious. Ben spends his spare time riding around the globe, and when he’s not riding he’s hiking or hunting. A Canadian-born adventurist, who may as well call herself Kiwified. 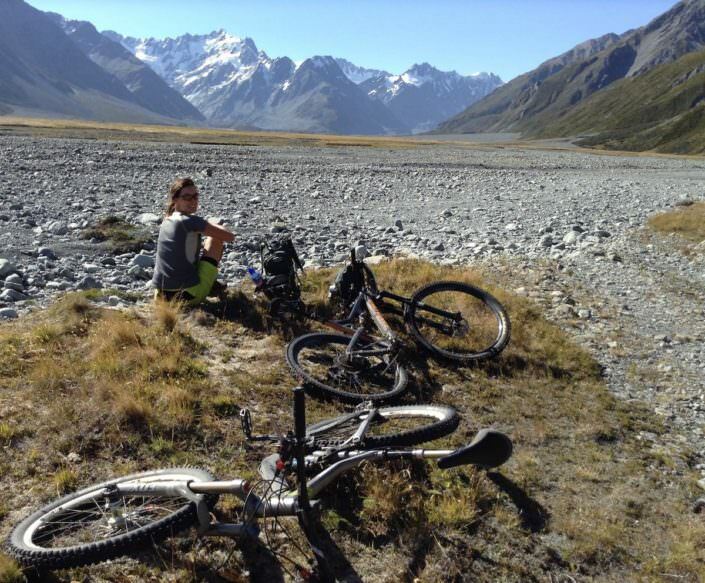 She’s been chasing Ben around the Southern Alps for more than nine years, and calls NZ her home. 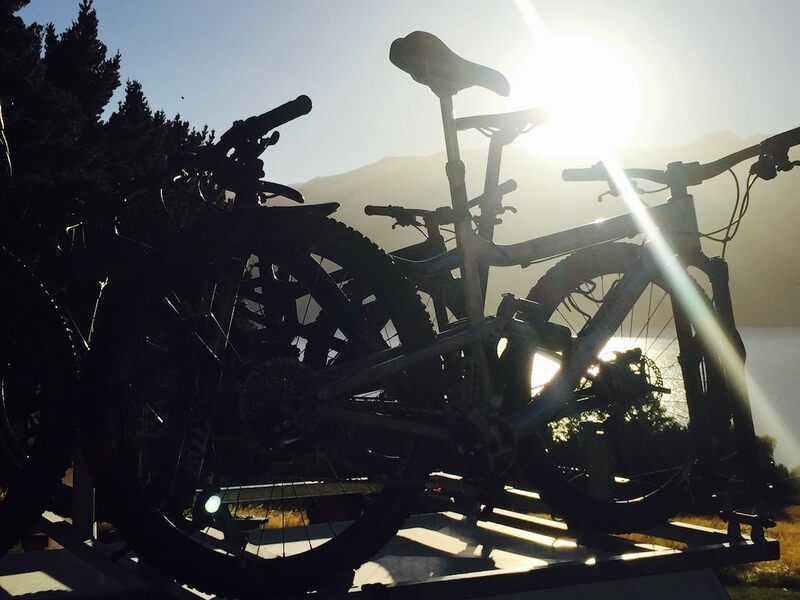 Mountain biking is a true passion of hers along with ensuring the finer details of a trip of a lifetime are executed. When she’s not guiding Cristina can be found trying to keep up with Ben on the downs, but she smokes him on the uphills as they ride around the globe together. 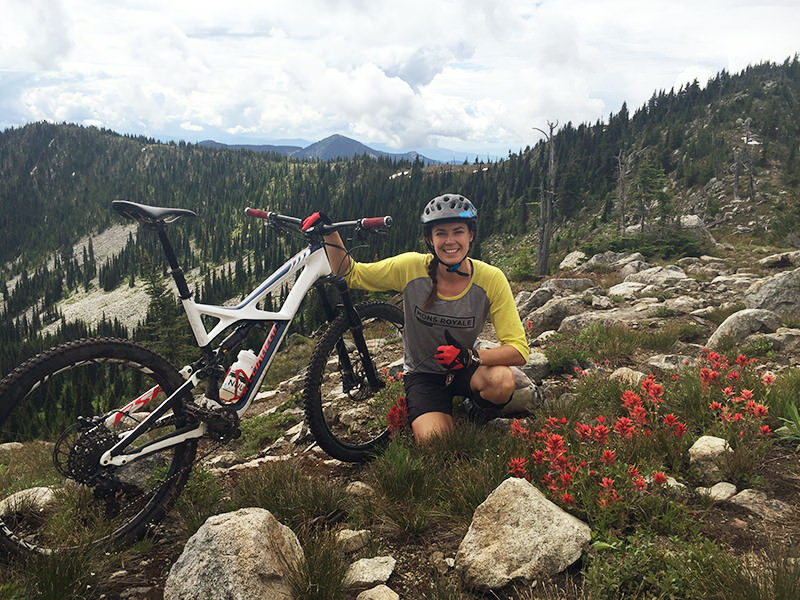 Off the bike you can find her growing kale, hiking or doing yoga. Together they formed NZ Single Track Adventures among other adventure companies. Most people call him “Dude” for the fun-loving spirit he brings to any adventure. 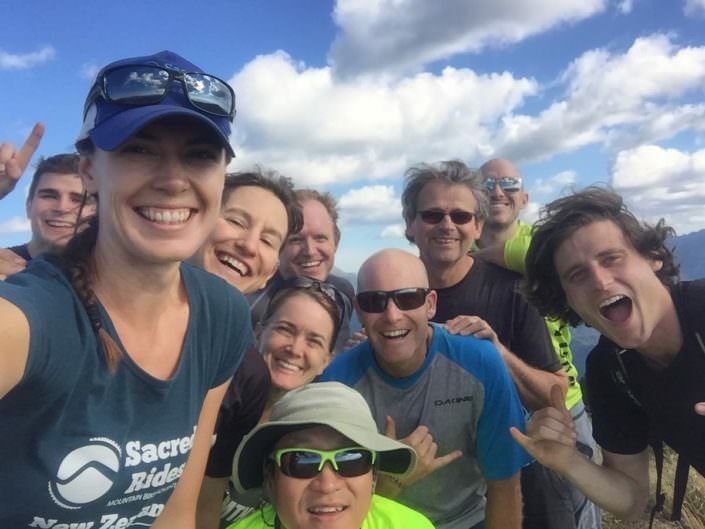 Makes no matter what the weather’s doing or how hard the climb is, Dano has a positive attitude and a cheery smile for anyone looking his way. You couldn’t ask for a better vibe to have on board. 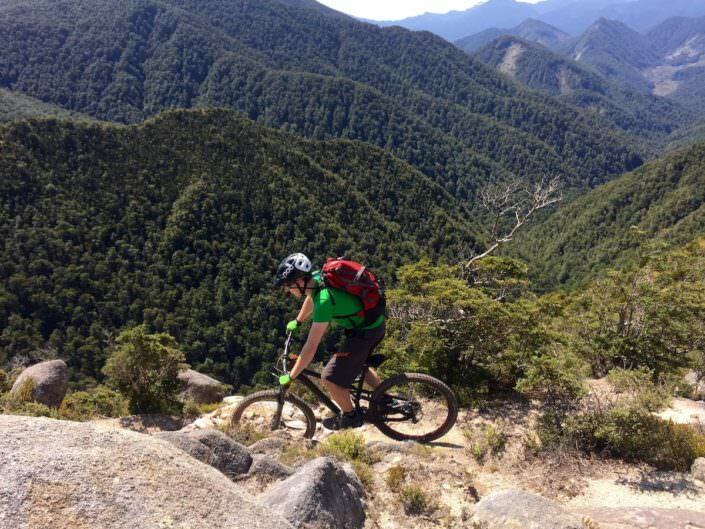 Dano’s been riding bikes since a young age and living overseas for many years before he returned home to New Zealand and started guiding for New Zealand Single Track Adventures. 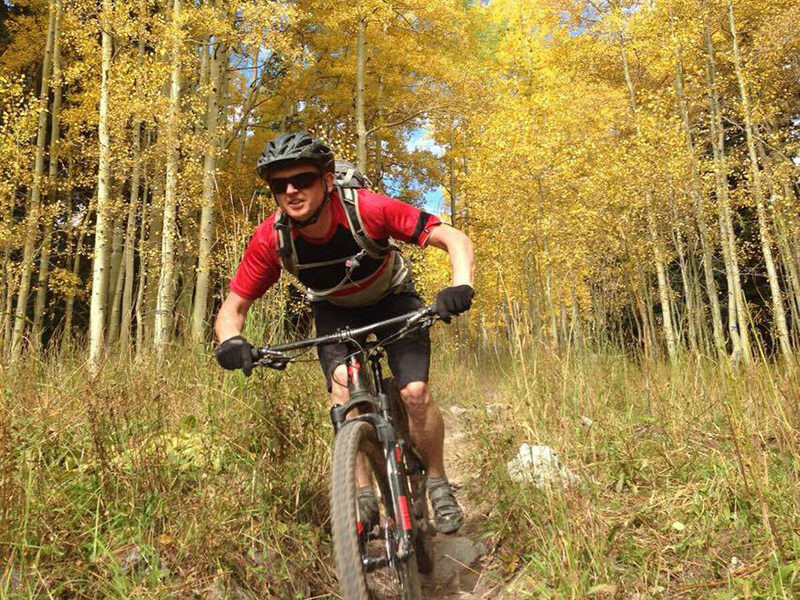 Off the saddle, you can find Dano building MTB trails, tending to his B-Hives or sipping a fine IPA. 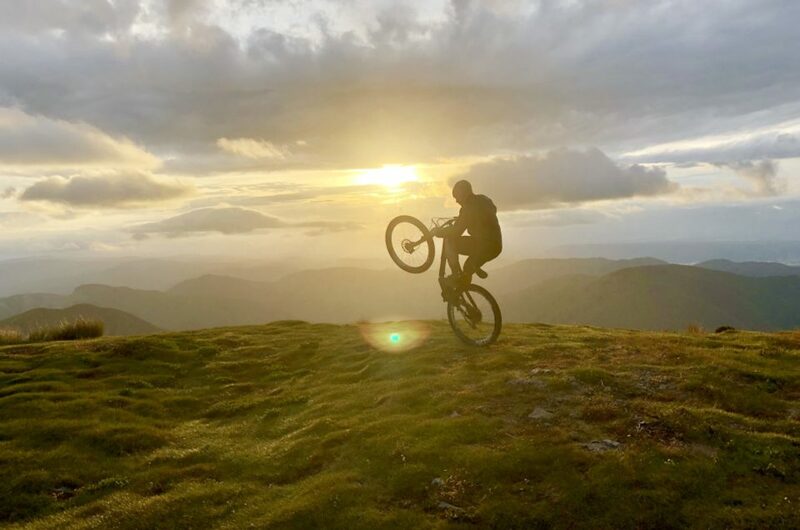 Neil is passionate about everything outdoors, especially everything to do with bikes, mountain running, tramping and skiing. 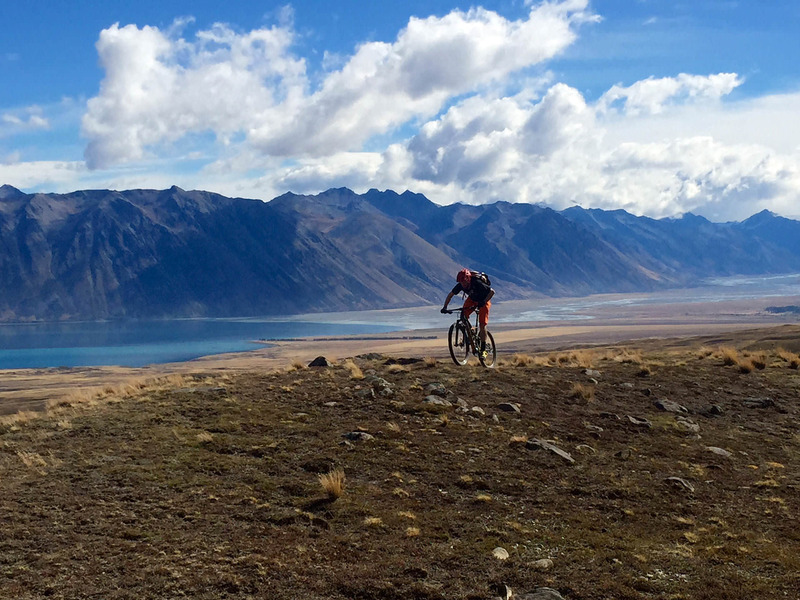 Originally from the UK, the lure of the mountains brought him to Queenstown, NZ 16 years ago and he has never left. 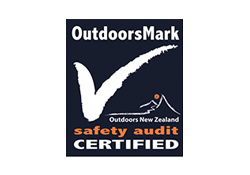 Neil had managed a bike and outdoor gear shop in Queenstown for the last 14 years mainly to support his addiction for outdoor gear and new toys ! He’s ridden around the USA, Canada and Europe and can be found planning his next mountain bike road trip or sampling some great NZ craft beers down by the lake in Queenstown.